This technology should be fun and easy, right? Ensuring that critical IT systems are continuously available to support core business functions is imperative but maintaining IT systems with an internal office IT staff is not a cost-effective solution for many businesses in the San Francisco Bay area. Your business also runs the risk of lacking consistent and updated expertise in the latest technologies and security. ACD’s MANAGED IT addresses your ongoing managed information technology support needs on a consistent and timely basis. Our MANAGED IT Services provide systematic administration of systems and networks that keep your PCs, servers, and networks up to date and running, diminishing downtime and capitalizes on productivity. We'll build the right MANAGED IT service package to enhance your business. Why Hire ACD MANAGED IT Support and Services? By outsourcing your IT services with ACD, you eliminate redundant staffing and utilize your current employees for emerging opportunities and meeting the goals of your business. ACD’s MANAGED IT provides a service-first approach, where a lower technology investment makes sense—compared to doing managed IT in-house in the San Francisco Bay area. ACD’s MANAGED IT offers all-inclusive desktop and server management to proactively update, manage, and back-up all your servers and PC’s remotely. Every facet of your IT network is monitored by remote, professional IT support team member so problems can be detected before causing a problem. ACD MANAGED IT engineers can help navigate your business through the wealth of emergent technologies, which at your disposal may help plan a strategy that makes the most of your IT budget, and at the same time addresses current and upcoming technology requirements, supporting your business goals and vision. Server crashes happen, but ACD can provide a viable solution. ACD’s server backup solutions are easy-to-deploy, and are a dedicated local application that incorporates local, cloud and object-level exchange restore backups, keeping you and your business data safe in the event of a server crash or worse. With ACD’s MANAGED IT online client portal, you can schedule on-site tech visits, submit and track help tickets, and access scheduled IT support, client reporting, network diagrams, brochures and proposals. Even the most constant and scrutinized IT systems can develop complications that need to be addressed by a professional. ACD can remotely access your business systems to address problems in an instant. When remote IT support isn’t an option for your business, our engineers are available 24/7 for onsite visits to assess problems and make repairs in the San Francisco Bay Area, with a 2-hour emergency response time guaranteed to all our clients. Keep I.T. simple. Any issue, any topic, same rates! 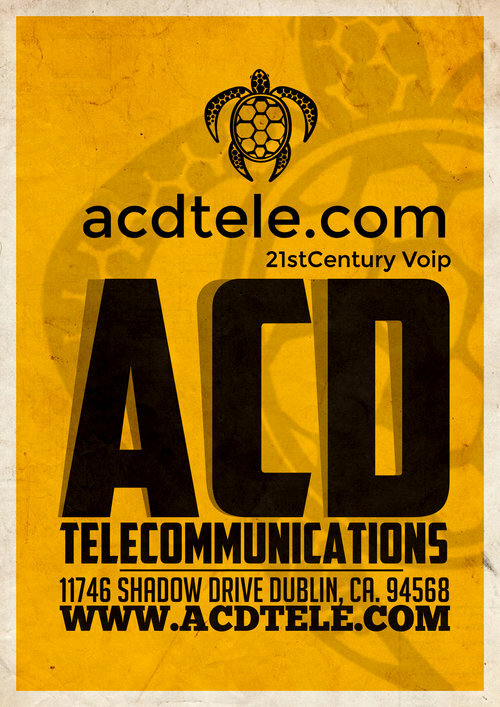 ACD Telecom can provide your business with a level of I.T. support explained to you, keeping it simple, minus the tech talk. So many times we hear this: ACD, please take care of it! ACD can manage most aspects of your network, and if we need specialists we will bring them on board to help, or if you just need immediate help we can do that too. We let you focus on what's important, smooth, reliable efficiency and profitability. Best price, Best Value! Increased Freedom! We know what you need to succeed: increased freedom to do other things, delivered at extreme value from us. If you get a maintenance plan from us, it insures that you have top priority, and you will better be able to budget your monthly IT costs! We will know about network problems before they create downtime for your organization. 2-hour Emergency Response for critical problems 24-Hour Response on minor problems! For thirty days after your system is up and operational, (VOIP phones) any request you make for service is treated as an emergency! Database Collection – create and define the customer database. Installation / System Integration. Complete physical hardware and software installation, placement, testing and verify system operation. Training/Education – Administrator, Operator, Train-the-Trainer, and End-User. Relocation Services – skilled personnel to help remove and re-install equipment. Place change or move orders with SBC/AT&T on Behalf of the customer, and have working relationships with over 29 vendors including XO, Telepacific, PacWest, and Electric Lightwave!